Systematic lupus erythematosus (SLE) is a complex disease for which molecular diagnostics are limited and pathogenesis is not clearly understood. Important information is provided in this regard by identification and characterization of more specific molecular and cellular targets in SLE immune cells and target tissue and markers of early-onset and effective response to treatment of SLE complications. In recent years, advances in proteomic technologies and applications have facilitated such discoveries. Here we provide a review of insights into SLE pathogenesis, diagnosis and treatment that have been provided by mass spectrometry-based proteomic approaches. Immune-mediated reactions in systemic lupus erythematosus (SLE) affect many different body systems, including the central nervous system (CNS), blood cells, joints, skin, heart, lungs, and kidneys . Although immune-suppressive treatment is effective, there are undesirable side effects and reduced response to treatment in some cases [1–3]. Thus, an important objective in SLE research is the identification of more specific therapeutic targets by defining novel cellular mechanisms of disease. Another objective is the identification of reliable, non-invasive, and quantifiable markers for detection of the early-onset of specific complications. Such markers would enable treatment to be administered most effectively along with assessment of positive response to therapy such that the treatment can be modified or stopped in a timely manner to best manage adverse side effects. These markers also provide important pathogenic insight and tools for testing new or improved therapeutics. In addition to clinical features (rash, arthritis), diagnostic information for SLE is also provided by measurement of immune cell profiles and activity, identification of specific autoantibodies, and identification of changes in protein expression profiles in bodily fluid (urine, blood, cerebral spinal fluid). Mass spectrometry-based proteomic technologies have played an important role in each area of clinical diagnosis as well as the development of a more comprehensive understanding of the underlying disease process using a myriad of diverse sample types and techniques. One of the preferred mass spectrometry methods in proteomics combines one- or two-dimensional liquid chromatography (LC) peptide separation with electro-spray ionization (ESI) tandem mass spectrometry (MS/MS) . This LC-MS/MS methodology allows for a direct and highly sensitive identification of hundreds of individual proteins from virtually any type of biomedical sample . The decision to use one-dimensional versus two-dimensional LC is based on the complexity of the protein sample. Typically, SDS-PAGE bands or spots (<30 proteins) are analyzed by one-dimensional and much more complex samples, such as affinity-purifications and whole cell, tissue, or bodily fluid extracts are analyzed with two-dimensional LC-MS/MS. Another type of mass spectrometry that is employed is matrix-assisted laser desorption/ionization (MALDI)-time of flight (TOF) . With this approach up to 96 individual protein samples are spotted onto a stationary target for analysis. Although the sensitivity of MALDI-TOF is limited to characterizing the 10 to 15 most abundant proteins in each sample, it has the benefit of being a higher throughput platform for lower complexity, pre-fractionated protein mixtures (after gel separation) because each sample is analyzed in minutes whereas a typical one-dimensional LC run requires an hour and two-dimensional LC-MS/MS takes 10 to 12 hours. A third mass spectrometry approach is surface-enhanced laser desorption/ionization (SELDI)-TOF, a modification of MALDI-TOF . With SELDI-TOF, different surface components, such as strong anion exchangers or hydrophobic characteristics, allow binding of proteins with certain characteristics while dissimilar proteins are washed away. This allows analysis of targeted subsets of structurally related proteins and reducing the complexity of the sample improves the overall sensitivity or dynamic range of detection. SELDI-TOF results differ from LC-MS/MS and MALDI-TOF-TOF in that the results are given in mass to charge ratios (m/z) rather than peptide sequence, so positive protein identification is not possible. It is, however, useful for rapid analysis of the protein m/z profiles of semi-complex samples by reducing upfront separation while preserving the fast analysis time of a MALDI platform. Although not as desirable for discovery, these attributes of relative ease of sample preparation and speed of analysis and data output, as well as lower startup and operation costs, present SELDI-TOF as a more suitable mass spectrometry platform for a clinical test. A key component of these studies is the method used to prepare selectively targeted protein samples for mass spectrometry interpretation. Auto-antigen identification studies usually involve separation of the tissue of interest by one-dimensional or two-dimensional electrophoresis SDS-PAGE, followed by immuno-blotting with anti-sera from SLE patients, and identification of proteins in immune-reactive bands by MALDI-TOF-TOF or LC-MS/MS analysis . Another approach isolates autoantibodies from SLE patient serum using immobilized protein G, which is then used to affinity enrich antigens in targeted tissue extracts for direct characterization with two-dimensional LC-MS/MS analysis . Studies aimed at defining diagnostic markers for SLE complications by comparing protein expression in normal and diseased bodily fluids have used two basic approaches: assessment of protein expression differences from stained two-dimensional gels followed by MALDI-TOF-TOF identification of the proteins in differing spots; or direct assessment and comparison of protein expression from intrinsic LC-MS/MS data [8, 10]. The work flow of these applications is described in Figure 1. Mass spectrometry workflow. Starting from sample, which could be any preparation of proteins, a work flow could lead to a number of separation/purification techniques or proceed directly to tryptic digestion. Both one- and two-dimensional electrophoresis (1-DE and 2-DE) are used to immunoblot for novel autoantigens followed by analysis, frequently matrix-assisted laser desorption/ionization (MALDI) or surface-enhanced laser desorption/ionization (SELDI), but also including one-dimensional and two-dimensional liquid chromatography (1D-LC and 2D-LC)-tandem mass spectrometry (MS/MS). Complex samples may be separated by affinity chromatography, immunoprecipitation or magnetic bead separation. Techniques may be employed to remove primarily high-abundance proteins, separated based on protein chemistry or interaction kinetics involving immunoglobulins or other proteins. The digested peptides could be subjected to analysis by MALDI, SELDI, and one- or two-dimensional electrospray ionization (ESI)-LC/MS/MS. Gel separated and digested proteins are frequently analyzed with MALDI or SELDI platforms, but are appropriate for ESI as well. More complex sample types, in particular whole cell lysates, which have not been separated, are frequently subjected to one- or two-dimensional LC peptide separation coupled with ESI-MS/MS analysis. The two-dimensional aspect of LC separation allows a greater number of proteins to be identified from very complex samples when compared to the other methods, with the tradeoff being the greatly increased time (10 to 12 hours) to analyze one sample. SELDI-time-of-flight (TOF) and MALDI-TOF are used for profiling while MALDI-TOF-TOF and ESI-MS/MS can sequence the peptides in the sample to positively identify their parent proteins. In this review we seek to explain prior contributions of mass spectrometry techniques to the biological understanding, diagnosis and treatment of SLE and to lay out a framework for future work in the field. It is our hope that the subsequent information will allow a greater understanding of the mass spectrometry-based techniques and illustrate their potential in translational and clinical research related to SLE and other autoimmune diseases. A great deal of effort has been put into understanding the changes to the cardiovascular system in SLE. Cardiac involvement in SLE has been reported with a prevalence up to 50% , but on average only 9% will develop true myocarditis [12, 13]. SLE has long been known to result in immune deposits in the pericardium and/or myocardium of SLE patients, resulting in both histopathologic and gross anatomic changes . Arrhythmias, including sinus tachycardia, atrial fibrillation, long QT, atrioventricular block and bundle branch block, are rare complications, but can have significant effects when combined with other factors such as antimalarial therapy  and studies have reported up to 16% of children with SLE to have asymptomatic cardiovascular disease . The risk of developing coronary artery disease is four to eight times higher in SLE patients than in controls, and this risk increases to 50-fold in young women . Treatment can be tailored to specific patients at risk for the development of such complications, but for this to be possible, early diagnosis of SLE is required followed by the accurate gauging of cardiovascular risk. Mass spectrometry findings have been used to characterize the proteomic changes in the SLE disease state to better understand the pathogenic mechanisms behind cardiovascular disease to allow earlier diagnosis and improved risk assessment [10, 17–20]. To better understand pathogenesis of cardiovascular SLE and provide biomarkers for prompt diagnosis, auto-antigens involved in congenital heart block were subjected to proteolytic cleavage with and without sera of SLE patients, followed by MALDI-TOF-TOF identification of antibody-protected sites (epitopes) . The resulting peptides were found to correspond to the 200 to 239 amino acid portion of the Ro52 protein, supporting the use of autoantibodies against Ro52 as a biomarker. Subsequent studies have supported the role of anti-Ro antibodies (both Ro52 and Ro60) in congenital heart block and suggested potential mechanisms for the development of the condition [21, 22]. Haptoglobin α2 polypeptide chain differences have been noted between SLE and non-SLE populations via MALDI-TOF mass spectrometry . Patients expressing the haptoglobin α2 isoform have been shown to have shorter survival times after coronary artery bypass graft  and more severe complications after myocardial infarction , possibly due to decreased ability to reduce oxidative stress. The association of haptoglobin α2 peptides with SLE flare may offer insight into the cardiac complications seen in SLE and higher levels of haptoglobin α2 have been reported in SLE patients versus controls . To identify target autoantigens and explore the pathogenesis of dilated cardiomyopathy, Seko and colleagues  applied a two-dimensional electrophoresis separation approach to plasma membrane proteins isolated from rat cardiac myocyte cultures. The protein blot was then probed with serum of healthy controls as well as a 17-year-old patient with an unusual presentation of delayed cardiomyopathy subsequent to neonatal lupus erythematosus. While the control showed no significant reactivity, many immune-reactive spots appeared on the sample probed with SLE serum, which were excised and analyzed on a LC-MS/MS system. The analysis identified two high-probability proteins: annexin A6, known for calcium signaling and membrane trafficking, and vimentin, known for maintenance of cellular structure (Table 1). The authors downplayed the likelihood of vimentin playing a role in the pathogenesis of myocardial contractile dysfunction. However, mice with overexpressed annexin A6 had decreased contraction and relaxation of cardiac myocytes as well as dilated cardiomyopathy , suggesting that if autoantibodies to annexin A6 stimulate its function, then the result would be suppression of myocardial activity. 1D, one-dimensional; 2D, two-dimensional; 2-DE, two-dimensional electrophoresis; AGP, α1-acid-glycoprotein; CNS, central nervous system; CSF, cerebral spinal fluid; ESI, electrospray ionization; GST, glutathione S-transferase; iTRAQ, isobaric tagging for relative and absolute protein quantification; LC, liquid chromatography; LN, lupus nephritis; L-PGDS, lipocalin-type prostaglandin-D synthetase; MALDI-TOF, matrix associated laser desorption/ionization-time of flight; MS/MS, tandem mass spectrometry; NPSLE, neuropsychiatric systemic lupus erythematosus; RA, rheumatoid arthritis; ROS, reactive oxygen species; SELDI, surface enhanced laser desorption/ionization; SLE, systemic lupus erythematosus; SLEDAI, SLE Disease Activity Index; Tf, tranferrin; WMH, white matter hypertrophies (on MRI). SLE is, at its core, a disease of the immune system, so a deeper understanding of immune cell function in both normal and diseased states is critical for a comprehensive understanding of SLE. Complementary studies by Dai and colleagues  and Wang and colleagues  show the evolution of a mass spectrometry-based interpretation of peripheral blood mononuclear cells (PBMCs) in SLE. Dai and colleagues published their work in 2008 comparing the relative changes in the proteome of PBMCs of both healthy controls and SLE patients. They employed the conventional approach of two-dimensional electrophoresis and silver stain followed by MALDI-TOF-TOF to identify protein spots expressed at different levels. A total of 20 spots differed significantly between the SLE and control group, with 11 being upregulated and 9 downregulated. The findings of the study are summarized in Table 1. Briefly, immunoglobulin J chain, an early differentiation marker in B cells, was upregulated, as was calprotectin L1, a protein released by granulocytes and monocytes during activation. Interestingly, calprotectin L1 levels were associated with the severity of disease and at the same time were linked significantly to anti-double-stranded DNA antibodies. Glutathione S-trans-ferase (GST) was downregulated in SLE, which would reduce the cell's ability to degrade reactive oxygen species, which may contribute to inflammation and tissue damage. Wang and colleagues  followed Dai two years later with an expanded study that employed the use of isobaric tagging for relative and absolute protein quantification (iTRAQ) as a means of studying PBMC proteome changes. The iTRAQ method was used with LC-MS/MS to allow multiplexing of samples (up to eight per run), which not only saves time but also reduces technical variability. Using six samples each for active SLE, inactive SLE, rheumatoid arthritis (RA) as a diseased control and healthy patient samples, 452 proteins with a variety of cellular locations and biological functions were identified and quantified. Of these, 126 were either upregulated or downregulated across all the groups. When compared to the 2008 data, this study showed a similar downregulation of glutathione S-transferase and upregulation of zinc finger proteins with similar fold changes in both experiments, but also identified several other known SLE regulators and novel functional candidates. In total, 17 proteins were upregulated and 13 were downregulated in active versus stable SLE. The authors' choices for future study are listed in Table 1. Known SLE and inflammatory proteins were identified, such as resistin and calcium-binding family of S100 proteins. Additionally, several novel candidate proteins were identified, such as brain acid soluble protein 1 and ras-related C3 botulism toxin substrate 2, which have roles in apoptotic mechanisms in other diseases [28, 29], but this was their first link to SLE disease activity. Lupus nephritis (LN) must be considered in a discussion on the use of proteomic methods in lupus, because LN is one of the most common and most severe complications that can arise from SLE (affecting approximately 50% of patients), leading to significant morbidity and mortality . As with other renal disorders, a major diagnostic source for LN is urine. The advantage of using urine as a screening method for the presence or severity of disease is the non-invasive nature of sample collection. Urine studies also allow long-term observation of patients, allowing tracking of changes in the urine proteome associated with changing disease states. SLE and LN biomarkers have been a topic of discussion dating back to the 1960s and continue to be of interest today [20, 31–33]. Recent proteomic studies have provided insight into novel urinary biomarkers for LN. Oates and colleagues  built on the ideas of urine protein quantification using two-dimensional electrophoresis to train an artificial neural network capable of identifying potentially significant changes to urine proteomes immediately before validation by renal biopsy. Briefly, 200 μg of protein were collected from 20 different patients with SLE at the time of biopsy. The recovered protein was denatured and separated using two-dimensional electrophoresis. A total of 213 protein spots across the 20 patient gels were used to calculate protein abundance and an artificial neural network was trained to identify the class of LN based on the protein abundance profile. The resulting neural network was able to successfully identify >86% of all positives and >92% of all negatives, with the exception of class V, where each false positive was present in a sample also positive for class III or IV LN, which were correctly identified. The group then identified the most critical spots for determining sensitivity and subjected each to MALDI-TOF mass spectrometry, which identified six proteins: α-1 acid glycoprotein, α1 microglobulin (two spots), zinc α-2 glycoprotein (two spots), and IgG κ light chain (Table 1). Early work successfully identified proteomic profiles of renal flare in SLE through the use of SELDI-TOF to identify protein signatures without the need to positively identify proteins. This allowed the identification of novel biomarkers, but the protein identification limitation of the SELDI-TOF technique prevented mechanistic inference and predictions . Zhang and colleagues  provided both diagnostic and mechanistic understanding of LN using longitudinal urine proteomics to assess the changes in the urine proteome before, during and after SLE renal flare by combining SELDI-TOF with LC-MS/MS sequencing for protein identification. Using a sample set of 145 urine specimens from SLE class III, IV and V patients, they identified 27 low molecular weight proteins that showed significantly different levels of expression before, during or after SLE flare. While no single peptide was present in all the flare or non-flare samples, combinations of two peptides were found that successfully differentiated 100% of the remission and pre-flare samples from flare and post-flare samples. LC-MS/MS analysis identified multiple isoforms of α-1 antitrypsin, albumin, and hepcidin as proteins of interest (Table 1). Interestingly, hepcidin-20 levels were only altered pre-flare, which means it may be a useful indicator of impending flare, allowing modulation of clinical management to reduce severity and duration of the flare. A follow up study two years later supported this idea and further presented interleukin-6- and interferon-α-dependent upregulation of hepcidin transcription as a possible mechanism of hepcidin increase in LN . A study using LC-MS/MS to characterize immune-reactive bands from two-dimensional electrophoresis separated endothelial cell lysate with sera of SLE patients, other autoimmune conditions and healthy controls identified the glycolytic enzyme aldolase A as a candidate target antigen  (Table 1). Moreover, this was found to be more common for LN patients than in SLE without LN (43.4% with LN versus 11.1% without LN). However, reactivity to aldolase A was not appropriately significant between LN and other inflammatory disease controls such as RA and polymyositis to be used as a stand-alone biomarker for LN. The authors did, however, note specificity of LN patient anti-sera to the region of aldolase A comprising amino acids 94 to 183 over other autoimmune conditions. 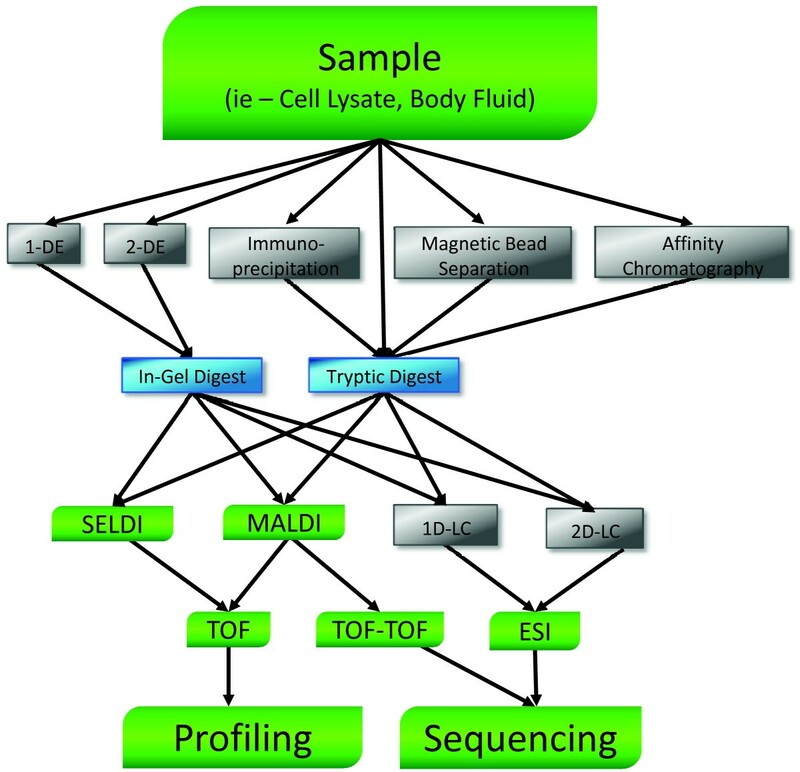 Suzuki and colleagues used a combination of SELDI-TOF  and MALDI-TOF  for evaluation of the urine proteome in pediatric LN. Four potentially significant biomarkers were identified, including transferrin (Tf), ceruloplasmin, α1-acid-glycoprotein (AGP), and lipocalin-type prostaglandin-D synthetase (L-PGDS), each with great significance (P < 0.005; Table 1). Significant increases of Tf, L-PGDS, and AGP were seen as early as three months before clinical diagnosis or worsening of LN. Both Tf and AGP were also seen in adult forms of the disease , while L-PGDS is novel to pediatric LN diagnosis. Ceruloplasmin has been implicated in global SLE, but was not found to be an effective metric for defining the course of LN in pediatric patients. Neuropsychiatric SLE (NPSLE) is a potentially severe complication that varies in prevalence between 9.5% and 95% based on the literature and the diagnostic criteria . Findings suggest that NPSLE can be present in a mild form in as many as 95% of SLE patients , making it more common but typically less severe than renal or cardiovascular complications. Mood disorders and cognitive disorders are common symptoms and can be particularly challenging to diagnose in pediatric and adolescent patients due to the rapid emotional and physical changes that occur at those ages. While acquisition of cerebral spinal fluid (CSF) is invasive, it has become routine in the diagnosis of many neurological diseases and, in addition to serum, is therefore a useful medium for proteomic study of NPSLE. NPSLE research has focused on both biomarker identification for its diagnostic value as well as autoantigen identification for improved mechanistic understanding of the disease state and potential therapeutic development. Lu and colleagues  found CSF and sera obtained from NPSLE patients to be reactive to rat, mouse and monkey brain homogenate when separated by two-dimensional electrophoresis. MALDI-TOF-TOF was used to identify immune-reactive proteins. A total of 275 serum samples and 177 CSF samples were included, giving a great deal of depth and statistical power to the study. Briefly, four antinuclear antibody (ANA)-positive serum samples, which did not react to Hep2 cells, were used as pilot samples. Initial analysis of the reactive spots revealed an interaction in three of four samples with α-internexin (INA), a highly conserved protein between rodents and humans (Table 1). Recombinant human INA was then used in a western blot to confirm reactivity of sera as well as immunofluorescence with sera and anti-INA polyclonal antibody. Both the sera and the polyclonal antibody were found to react to cultured rat cortical neurons and the reactivity of sera was reduced by incubation with recombinant INA. These findings opened the door for analysis of the entire cohort of CSF and serum samples. Using two standard deviations as a cutoff for positivity, 41.7% of the NPSLE samples of CSF were found to be positive for anti-INA antibodies (compared to 0% of SLE with cerebral infarction, 7.1% of normal SLE controls, and 10% of other neurological diseases). In total, the data showed reactivity in more than 40% of NPSLE patients in a dose-dependent manner toward INA. Longitudinal studies found that antibody levels were inversely proportional to cognitive level and declined after initiation of therapy and clinical remission. Furthermore, mice immunized with INA plus lipopolysaccharide developed cognitive impairments similar to NPSLE and exhibited hippocampal and cortical neuron apoptosis, suggesting that the presence of anti-INA antibodies in the serum of patients was pathogenic. Ndhlovu and colleagues  identified α- and β-tubulin as target autoantigens for NPSLE using patient sera to probe isolated mitochondria from bovine brain followed by MALDI-TOF analysis. Autoantibodies to β-tubulin have been identified in other CNS targeting autoimmune diseases such as Guillain-Barre syndrome, multiple sclerosis, and Sydenham's chorea, but targeting of α-tubulin is potentially specific to NPSLE. α-Tubulin autoantibodies were present in 36% of NPSLE patient sera, only 4% of SLE patients without neurological symptoms and none of the multiple sclerosis, epileptic or healthy control samples (Table 1). Possibly due to the small size of the NPSLE population in the study (n = 37), no correlation was seen between specific symptoms of NPSLE and the presence of α-tubulin autoantibodies in sera. Larger patient population studies are needed to further explore the involvement of anti-α-tubulin antibodies in NPSLE. LC-MS/MS incorporates a direct front-end separation of complex samples to greatly increase the sensitivity of the procedure for low abundance protein detection. LC-MS/MS may be superior to MALDI-based techniques when dealing with complex samples. Katsumata and colleagues found this to be true while attempting to uncover novel serum autoantibodies for SLE, in particular those involved in CNS syndromes . Whole protein extracts from human neuroblastoma and glioblastoma cell lines were separated using two-dimensional electrophoresis and reacted to patient sera. It was determined that MALDI-TOF sensitivity was too low for effective protein identification in this case. To address this concern, anti-sera from SLE patients with and without CNS syndromes was bound to protein G-sepharose beads and incubated with the same cell line extracts. Proteins pulled down with the sepharose beads were analyzed with a LC-MS/MS method using a Q-TOF instrument. Most of the 154 proteins identified by the LC-MS/MS approach were not identified in the two-dimensional electrophoresis/MALDI-TOF analysis and 50 were found in the CNS group but not the non-CNS group. After exclusion of previously described autoantigens, 11 recombinant candidates showed reactivity against pooled serum of 28 patients with active CNS SLE by western blot analysis (5 of which were only detected by LC-MS/MS). These 11 candidates were then probed with sera of 106 SLE patients (42 with active CNS syndromes) as well as 100 healthy controls, resulting in a list of 5 confirmed autoantigens, 3 of which were novel (crystalline αB, esterase D and APEX nuclease 1; Table 1). When compared to other diseased sera (RA, systemic sclerosis, Sjögren's syndrome, and multiple sclerosis), levels of anti-crystalline αB were not found to be significantly different. Anti-APEX nuclease 1 and esterase D, on the other hand, had significantly higher levels in SLE than in these disease controls and between CNS and non-CNS SLE sera. APEX nuclease 1 is the major apurinic/apyrimidinic endonuclease in human cells and is found to be upregulated in tissues under oxidative stress and has a significant effect on apoptotic regulation in certain tissues . The effects of esterase D are less well known. In a similar study, Kimura and colleagues  used a combination two-dimensional electrophoresis and LC-MS/MS with an ESI-LCQ instrument to obtain higher sensitivity for low abundance proteins. Patient sera from a NPSLE patient with white matter hyperintensities on T2-weighted MRI scan was reacted to a two-dimensional electrophoresis rat cerebral lysate blot. In total, nine reactive spots were seen and five were analyzed by LC-MS/MS. The two spots of greatest intensity corresponded to 60 kDa heat shock protein (Hsp60) , which functions to refold proteins that are misfolded and/or facilitate degradation of proteins that cannot be recovered . Enhanced expression of Hsp60 can induce endothelial cell apoptosis and Hsp60 expression on the surface of endothelial cells has been reported to be directly related to coronary artery disease , opening the possibility of a similar relationship in the cerebral vasculature. In a follow-up study of 180 patients with neurological diseases (including 15 with SLE) and 23 healthy controls, Kimura and colleagues showed that the titer levels of anti-Hsp60 antibodies were directly correlated to severity of white matter hyperintensities in the brain, suggesting the presence of anti-Hsp60 antibodies as both a diagnostic tool as well as a mechanistic agent in the development of NPSLE . Although the authors chose to focus on Hsp60, the study also found SLE-specific antibodies to α-internexin, β-actin, and glial fibrillary acidic protein (Table 1). Another study using LC-MS/MS also suggested a relationship between NPSLE exhibiting psychosis with anti-Rab GDP dissociation inhibitor alpha (αGDI) . LC-MS/MS and western blot analysis of sera found that 4 of 5 patients with NPSLE with psychosis (80%) expressed anti-Rab αGDI (Table 1), while 1 of 13 patients with NPSLE and none with psychosis (5.3%) expressed the autoantibody, along with no expression in patients with multiple sclerosis (n = 12), infectious meningoencephalitis (n = 13), polyneuropathy (n = 10), psychotic syndromes (n = 10), or healthy controls (n = 12). Aside from assessing differences in disease states, pharmacologic reactions can be measured using proteomic techniques. Kao and colleagues  used two-dimensional electrophoresis and MALDI-TOF to investigate the changes to apoptotic-prone macrophages (APMs) from lupus-prone NZB/W-F1 mice before and after treatment with cystamine, a known inhibitor of transglutaminase 2 activities. A number of the findings indicated that cystamine has an anti-apoptotic affect in APMs and suggests a possible mechanism of this activity. The protein expression and enzyme activity of caspase 3 were downregulated and anti-apoptotic proteins APIP, PEBP4, and Bcl-2 were upregulated. ERK1/2 showed reduced phosphorylation after treatment in APMs, which also would result in survival of APMs and fewer apoptotic bodies to serve as potential targets for autoantibody production. Previous studies have shown that ERK1/2 phosphorylation is increased with cystamine treatment in endothelial cells  and neuronal tissue ; therefore, the findings of decreased phosphorylation in APMs may help further explain the development of SLE in specific tissues and lead to a more complete model of pathogenesis. Mass spectrometry can also be useful as a supplemental technique of a study. In work primarily focused on genetics, D'souza and colleagues  utilized MALDI-TOF mass spectrometry to support the hypothesis that catalase polymorphisms affect the risk and severity of SLE. Oxidative processes resulted in the 4-hydroxy 2-nonenol adducts on membrane catalase of red blood cells. MALDI-TOF was of great use in this situation because it allowed the positive identification of catalase from red blood cell membranes (an uncommon location) while migrating at a higher molecular weight, possibly due to 4-hydroxy 2-nonenol adducts. Ye and colleagues  expanded on previous microarray data by selecting a gene that is upregulated in SLE, IFIT1 (interferon-induced with tetratricopeptide repeats 1), creating a IFIT1 fusion protein with GST, and then using bead immobilized GST-IFIT1 as bait to capture interacting proteins in white blood cell lysate. MALDI-TOF was performed on the proteins pulled down in the procedure and found Rho/Rac guanine nucleotide exchange factor to be a potential target for IFIT1 interaction in SLE. Follow-up studies have supported the role of the interferon pathway in SLE and other autoimmune diseases [53–55]. Many of the studies presented in this review were aimed at using proteomic applications to define events in specific SLE complications, but it is our view some of these discoveries could also provide insight into other areas of SLE or that approaches applied to similar diseases could be modified for use in SLE. Recent studies have shown the use of MALDI-TOF techniques for synovial fluid analysis in autoimmune arthritis , which could be used to assess changes in SLE arthritis. Kimura and colleagues  identified a 60 kDa heat shock protein as an autoantigen in NPSLE, a protein with known ties to coronary artery disease and endothelial cell apoptosis [47, 57, 58], that may play a role in the development of cardiovascular SLE. Several studies have shown the benefits of proteomics using bronchoalveolar lavage fluid as a sample for the study of sarcoidosis , systemic sclerosis [60, 61], and other pulmonary diseases [62, 63]. The use of bronchoalveolar lavage fluid for the study and diagnosis of pulmonary complications in SLE would be less invasive and safer than biopsy. Tamburro and colleagues  recently published a proteomic review of the vitreous humor of the eye. Contrasting these findings to the proteome of SLE patients' vitreous humor could shed more light on the pathogenesis of retinopathy in SLE. Dai and colleagues  found immunoglobulin J to be upregulated in peripheral blood mononuclear cells. Other mass spectrometry-based techniques could be used, such as multiple reaction monitoring (MRM) and selected reaction monitoring (SRM) LC-MS/MS, which allows focused study on only m/z ratios of interest, reducing sample processing time and greatly increasing throughput. After the initial biomarker discovery stages, MRM/SRM has been used as a tool in biomarker validation in blood  and synovial fluid, specifically in RA patients . Additionally, the speed and potential for multiplexing means MRM/SRM could have clinical utility in patient diagnosis, prognosis, and monitoring . We used a LC-MS/MS approach to identify the M-type phospholipase A2 receptor (PLA2R) as the target antigen in idiopathic membranous nephropathy ; antibodies recognizing the PLA2R were present in 70 to 80% of these patients. However, they are not present in any patients with membranous lupus nephritis, which develops in up to 40% of patients with LN . This suggests that there are unique autoantibodies directed against specific kidney proteins other than the PLA2R in membranous lupus nephritis; therefore, proteomic studies could be designed to identify such target antigens as well as specific epitopes important in this disease. Even with the strides we have made in the understanding of SLE, it is still a debilitating condition affecting hundreds of thousands of patients every year. While treatments are available, they bring with them significant side effects and frequent failure rates. Recent advances in mass spectrometry technology have allowed an even more thorough analysis of complex samples to better understand the significance of minute changes in the pathogenesis of SLE, while accommodating large sample sizes through multiplexing and high-throughput methods. Furthermore, the options researchers or clinicians have in mass spectrometry techniques are rapidly expanding and have the ability to be tailored to a specific study. It is our hope that this review has afforded the reader a greater knowledge of the potential uses of mass spectrometry and other proteomic technologies in the study of SLE. While a proteomic understanding of disease is by no means a panacea, it offers the potential to help advance our knowledge and understanding of SLE to a point that the disease could be less of a burden for those afflicted. This work was supported in part by the Juvenile Diabetes Research Foundation award #1-2011-588.